Home Features Is the Medical Device Regulation a threat to additive manufacturing? Bryan Austin, general manager of global engineering company Renishaw, writes about how the additive manufacturing industry should handle the European Union’s new Medical Device Regulation (MDR). When the European Union’s (EU’s) new Medical Device Regulation (MDR) was first introduced in 2017, it set in motion a three-year countdown to its full application in 2020. The MDR could drastically impact the way that medical devices are made in the EU, particularly those that are produced using additive manufacturing (AM). 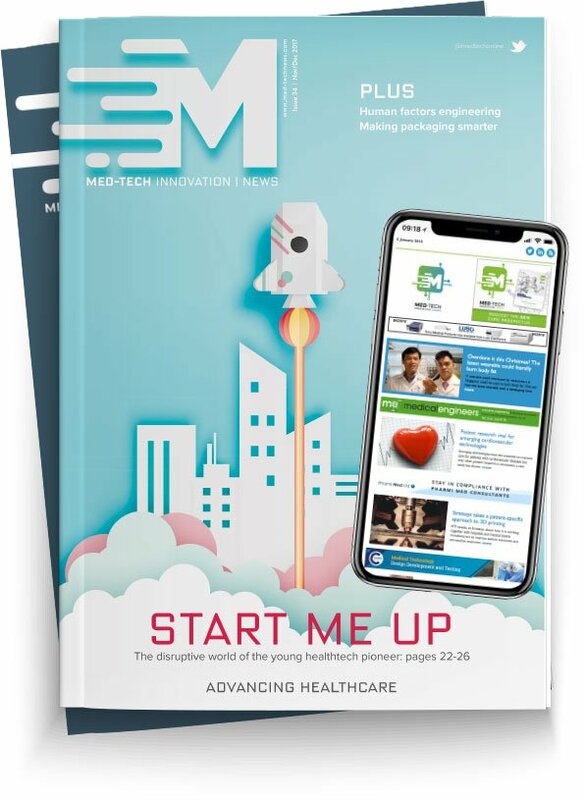 Here Bryan Austin, general manager of global engineering company, Renishaw’s Medical and Dental Products Division gives his advice on how companies in the additive manufacturing industry should handle the MDR. The new regulation suggests that any medical device mass produced by means of an industrial process no longer falls under the ‘custom-made’ exemption and therefore requires its own clinical evidence to authorise its sustainability. It also needs its own CE mark to prove it has been tested and meets all relevant standards. The problem is that there isn’t a clear definition of ‘mass-produced’ or ‘industrial manufacturing processes’. Without these terms being defined, there is a risk that the regulations will cover additively manufactured patient specific implants (PSIs) when produced on an industrial scale, even though each one is unique. Additive manufacturing is a core technology for rapidly producing custom metal parts, with complex geometry for the medical sector. Metal powder is fused together layer by layer using a laser, to build complex components that may not be possible with subtractive manufacturing. Additive manufacturing can produce components with variable surface finish to suit different surgical procedures. It can also produce complex lattice structures more efficiently than traditional subtractive machining can. The major advantage of the technology is that it allows implants to be designed specifically to a patient’s magnetic resonance imaging (MRI) or computed tomography (CT) scans. This means medical devices can be produced as a one off, unique product, specific to an individual’s needs. Patient specific additively manufactured implants are helping to improve treatment processes, decrease procedure revision numbers and reduce surgery times, which can also reduce costs for the NHS and provide better patient outcomes. Traditionally, if a patient had a particular cranial tumour, a surgeon would first have to remove the tumour and close the wound. The patient would then require further CT scans to determine the size of the cranial plate needed, dependent on the size of the wound from the previous surgery. The surgeon would then perform a second procedure to insert the implant. Additive manufacturing removes the need for a second procedure by enabling pre-planning and the production of patient specific surgical tools, that define exactly the size of the wound that will be left. Having fewer procedures needed for the same result improves the process for both patient and surgeon. Despite the benefits AM has offered so far, the new MDR may interfere with the use of additive manufacturing in the medical industry in future. The MDR has been released already, but the subsequent guidance documents could be influenced if enough manufacturers have an input. Patient specific implants are already being used in surgeries across the world, with Renishaw working specifically with a number of hospitals in Wales and the South West to improve patient outcomes. An interpretation of the regulation as it currently stands may mean we will not be able to help patients in the same way once they come into full force. For the technology to reach its potential, industry and healthcare need to work together to develop a body of evidence to demonstrate the efficacy and benefits of the technology. The only way to prevent the MDR from having a negative impact on additive manufacturing is to prove its worth, not just for hospitals and medical professionals, but also for patients that have the potential to receive a better outcome. For more information on how advances in additive manufacturing have inspired a number of surgeons to commission metal 3D-printed PSIs, visit http://www.renishaw.com/en/medical-and-healthcare-case-studies--39174.